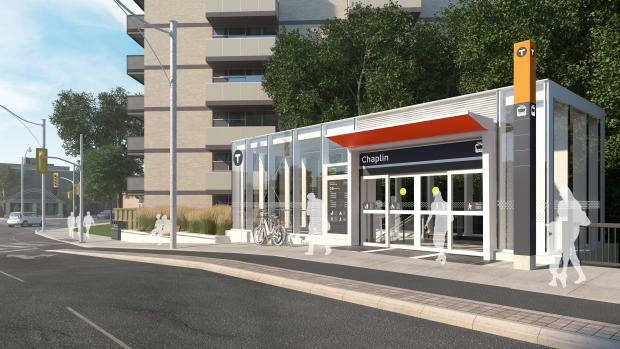 Chaplin Station will be an underground station located at the intersection of Chaplin Crescent and Eglinton Avenue West. 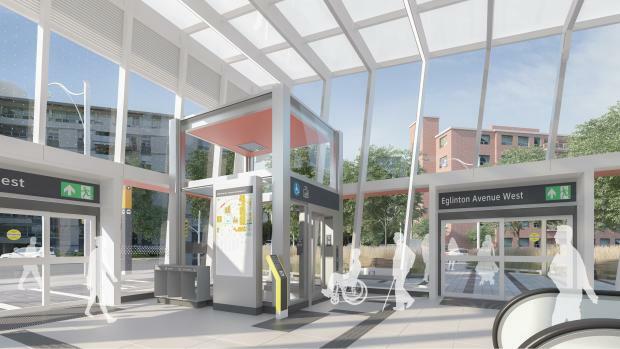 The main, fully accessible entrance will be located at the northwest corner of Eglinton Avenue and Gilgorm Road. This entrance will be sized to minimize the impact to Chaplin Parkette. 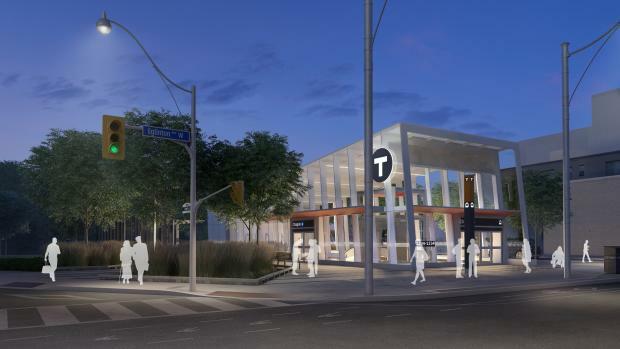 The secondary entrance will be at southeast corner of Eglinton Avenue and the Kay Gardner Beltline Trail. 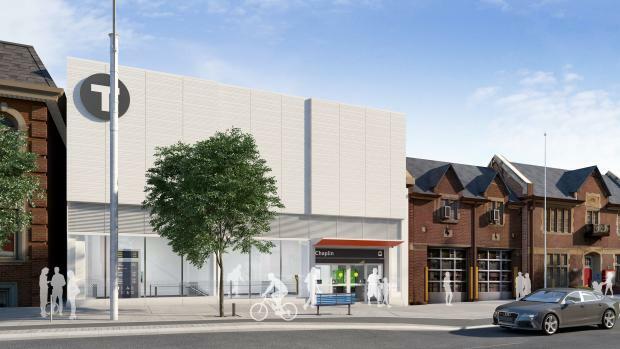 And, the third entrance will be near the southeast corner of Eglinton Avenue and Chaplin Crescent, in place of a portion of the existing fire hall. 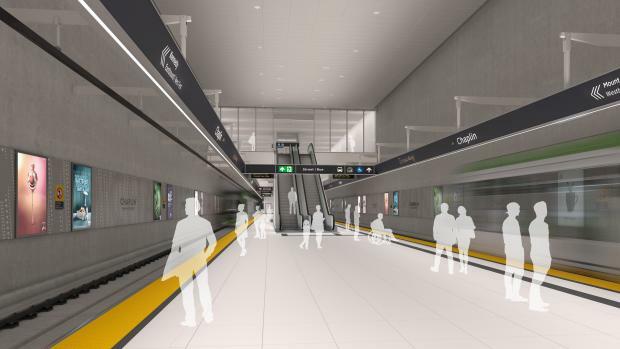 There will be on-street connections to TTC buses. 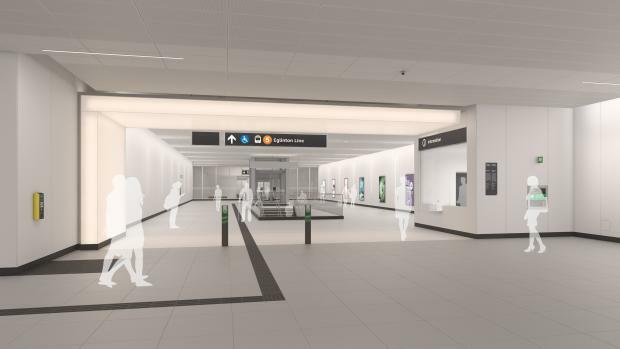 This station will also include plazas at both the main and secondary entrances, with the main entrance plaza integrated with the existing Chaplin Parkette. There will be 32 outdoor bicycle parking spaces. 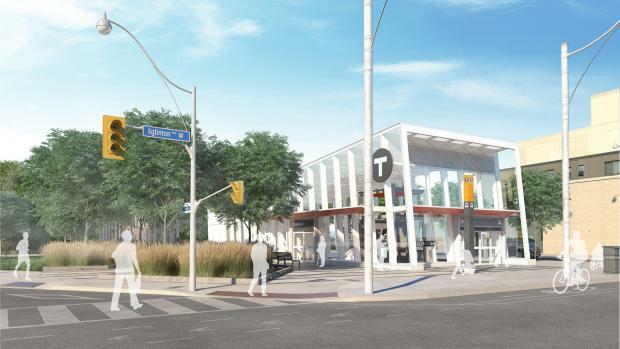 The existing Chaplin Parkette will be redesigned and reconstructed with an integrated design to accommodate the addition of the main entrance at this station. 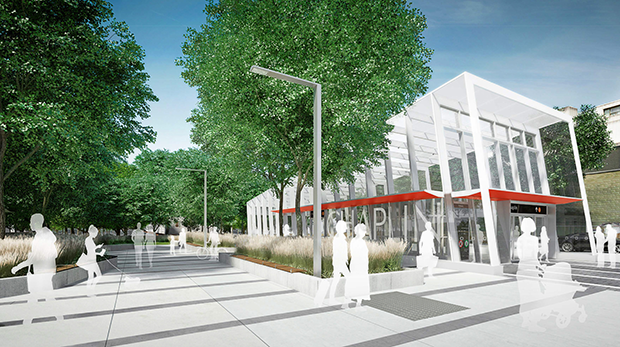 The design will accommodate green space, areas for meeting, waiting, and relaxing. 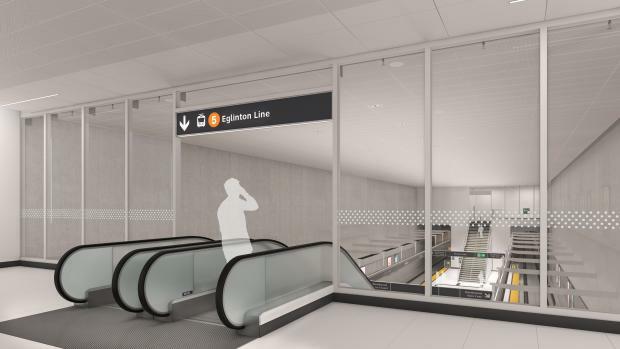 The secondary entrance will provide a visual connection to the Kay Gardner Beltline Trail with pedestrian access from the trail to Eglinton Avenue. 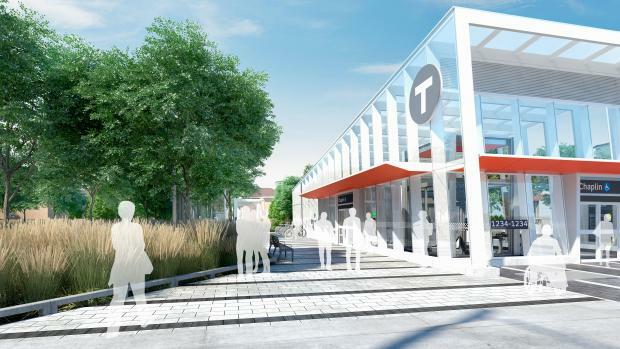 The design will be developed in conjunction with the City of Toronto Parks, Recreation and Forestry Division, and will facilitate the easy and safe transfer of bicycles between the trail and sidewalk. The western portion of the existing fire hall is listed on the City of Toronto Inventory of Heritage Properties and will be retained. 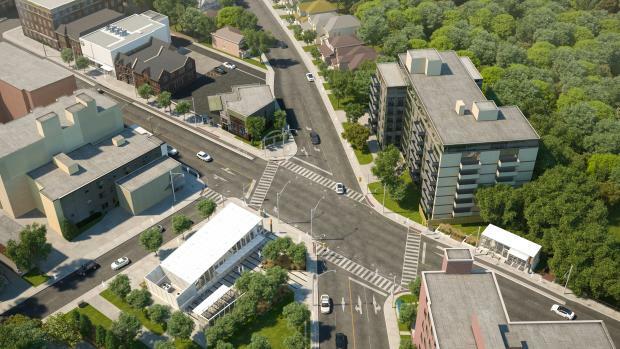 The eastern portion will be demolished to accommodate the third entrance; however, the existing fire station will be relocated to a new site on Chaplin Crescent, north of Eglinton Avenue West. Download the Chaplin Station fact sheet.